Alternative Legal Service Providers (ALSPs) are legal service businesses that take on legal processes from law firms and organizations, perform them at a lower cost, and often with increased efficiency, flexibility, and speed . More and more companies are routinely transferring their legal services to ALSPs, while law firms are outsourcing expensive and time-consuming projects to them. According to a recent survey by Thomson Reuters, ~51% of law firms and 60% of corporate legal departments use ALSP services. While cost-effectiveness is one of the reasons ALSPs are gaining popularity, another is that these businesses often have expertise that is not available in-house in many law practices. ALSPs usually specialize in high-demand legal services such as Document Review, Discovery, Contract Lifecycle Management, Compliance, Litigation, IP management etc. (refer Chart 1). Chart 1: Law firm and Corporate use of ALSPs. Source: Thomson Reuters. 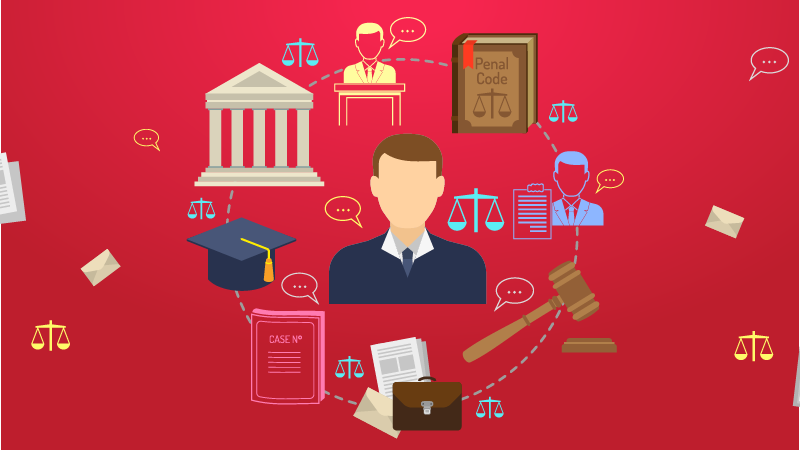 Law firms as well as legal departments did express reluctance to use ALSP services for legal strategy work; they preferred to use them for labor-intensive work so their own practice could be freed up to focus on core competencies. Their goal is to obtain an “efficient and profitable service model and cost-effective scalability for temporary, high-volume workflows.2” The survey helps develop a clearer understanding of why and when to use ALSPs (refer Chart 2)2. Chart 2: Why and When to Use an ALSP. Source: Thomson Reuters. Being businesses, ALSPs are shaking up the legal service delivery model, reevaluating processes, and eliminating redundancies. They break down legal processes into finer, unambiguous workflows, use the expertise of an interdisciplinary staff2, and reexamine the ‘business of law’. While law firms increase their marketing budgets and focus on what they sell, ALSPs conduct in-depth market research to understand their client’s business, risk profile, culture, competition, challenges, and future. ALSPs are innovative mainly because of their versatility, non-conformity to traditional law firm structures, business-savviness, and use of state-of-the-art technology. Most ALSPs are keen to adapt to changing client demands and employ “off-shore outsourcing, web-based services, and IT automation”1. Captive LPOs: Businesses run by captive operations, predominantly located in low-cost areas, which focus on excess volume work. Accounting and audit firms: Businesses that hold big revenue in legal services, that align with processes similar to accounting/audit work, and focus on excess volume projects. Staffing/In-sourcing/Contract lawyers: Businesses that provide lawyers to companies on a contract basis. Managed Legal Services Providers: Businesses that work with the in-house team to handle all or part of a project. Independent LPOs: Legal Process Outsourcing companies that carry out outsourced legal tasks, e-Discovery, and Document Review, supervised by the law firm or legal department. Deloitte’s survey of legal service purchasers revealed that one in three customers expressed dissatisfaction with law firm know-how on global data and cybersecurity, and proactiveness in knowledge-sharing across jurisdictions. They also stated that they expect industry, commercial, and non-legal expertise from their legal service provider. Unsurprisingly, the ALSP market has grown by leaps and bounds, amounting to $8.4 billion annually2, and the market that they sell to is predicted to grow to $55 billion by 2025. Alternative Legal Service Providers are to be seen as allies than enemies. Law firms and legal departments can work with these avant-garde companies for their technology, business expertise, client needs, and legal knowledge. With their firm grasp on the legal industry, ALSPs will soon be less alternative and more mainstream. LegalEase Solutions is a legal service provider, with a dedicated and skilled team of attorneys, pioneering technology and a comprehensive database of information. By working with the world’s leading companies and a range of challenging transactional, litigation, and legal intelligence projects, we have developed time-tested processes and industry know-how. If you have a project you need assistance with, please feel free to reach out to us at contact@legaleasesolutions.com. Our attorneys are happy to help. Suspicious Transaction Reporting (STR) or Suspicious Activity Reporting (SAR) has become the prime focus of the finance industry, which is particularly under the radar of law enforcement agencies and regulators. Financial companies are struggling to comply with the Bank Secrecy Act (BSA) and to efficiently report suspicious transactions. SARs are critical to the nation’s BSA and effective utilization of financial data can serve as a deterrent to terrorism financing and money laundering . Maintaining a structured and streamlined SAR process helps organizations file complete, informative, and timely SAR reports. Companies need to ensure that their SAR process includes but is not limited to policy, privacy, civil rights, technology, training, and outreach. Nearly two trillion dollars are laundered globally every year through human trafficking, drug smuggling, terrorism,and other organized crimes, with the US alone losing nearly 500 billion dollars of taxes annually. To gear up for the mounting risks of money laundering, all companies need to enforce a well-coordinated AML audit program, that complies with the Bank Secrecy Act (BSA) and the Financial Industry Regulatory Authority, both of which ensure that appropriate procedures and internal controls are in place to account for changes in regulations and business. Any business that hires employees or works with contractors and business partners will inevitably need to exchange proprietary information in order to carry out business. Non-disclosure agreements, or NDAs, can help ensure this information is protected and not used against you.